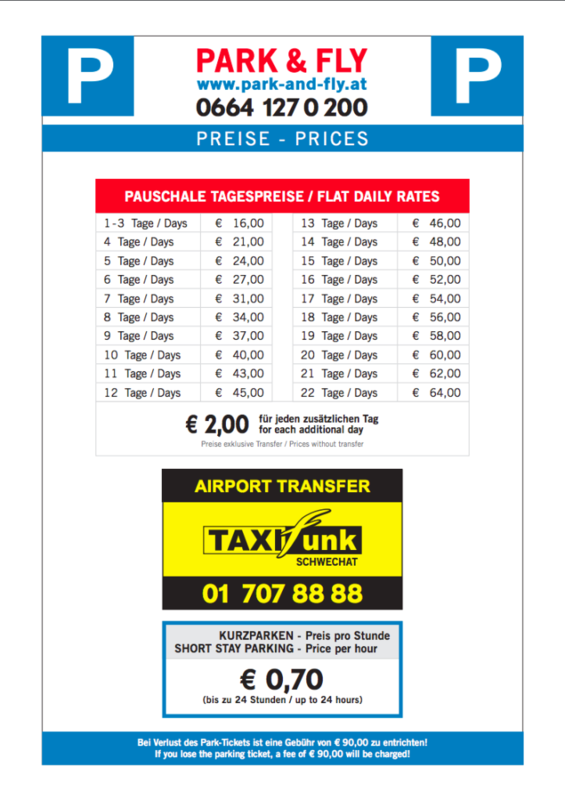 It doesn’t matter if you would like to park for one hour or several days – at Park & Fly you are just right!The airport transfer with our partner Taxifunk Schwechat is guaranteed 24 hours a day and at a reasonable price. You can conveniently pay your parking ticket upon your arrival at Park &Fly. After payment you have 10 minutes to leave the parking space. For further questions, please do not hesitate to contact us: +43 (0) 664 127 0 200!